Just some more today on my client in Toronto who will be making his first trip to China at the end of this month. He tells me that he is allergic to crab and was thinking about getting some cards made up with the message – in Chinese – that he cannot eat crab. I told him I thought this was being overly careful – not to mention that it would just accentuate his inability to speak Chinese earning him little respect from his hosts. It would after all be better to simply learn how to say “I don’t eat crab” in Mandarin than to hand someone a card on which this statement was printed. I told him he just needs to inform his hosts that he cannot eat crab and that should be enough to get him through the meal without breaking out in hives. However, being allergic to something and not wishing to eat something because it does not sound or look palatable are two entirely different things. You should never decline any food that is served to you in China even if that includes some of the more unappetizing things that show up regularly at a Chinese banquet e.g. 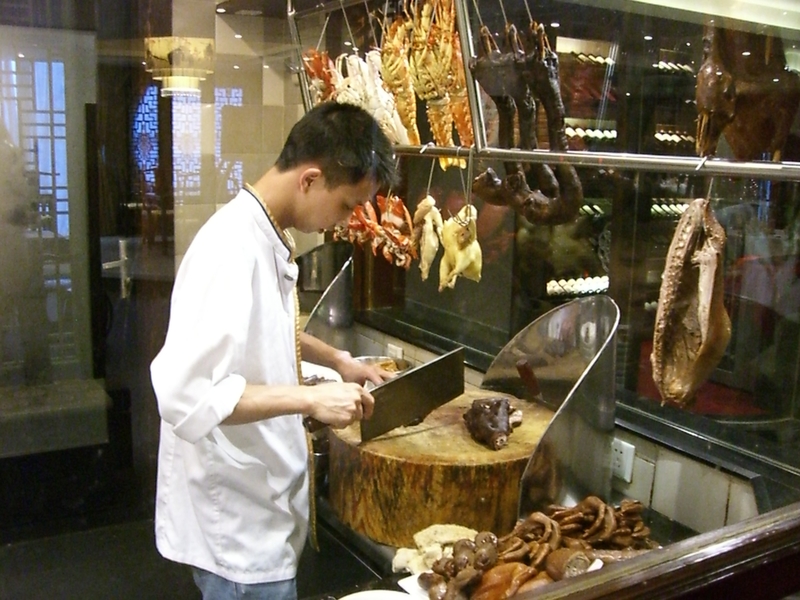 tongue, snake, chicken feet, mule, etc.etc I think this is sheer courtesy no matter where you are. Yet it is uncanny how many times I have been to China with foreign guests who shamelessly winced as they were offered something and then deferred much to the embarrassment of their Chinese hosts. Imagine if someone came to your house for dinner and you prepared an extravagant meal for them only to see them turn up their nose in disgust at one of your dishes. So the best advice is to stomach what you can’t eat ( no pun intended). At the very least it will make for a great story when you get home. Drinking is another thing you cannot avoid unless you simply do not or can not drink. If you explain this to your hosts they will respect this. But be warned that there is no such thing as drinking in moderation at a Chinese banquet, especially for males. In other words you cannot tell yourself or your hosts that you will have just one beer and quit at that. If you don’t drink with them they will interpret that to mean you do not enjoy their company. In Chinese there is an expression for this. 一醉方休 不醉不归 ‘ yi zui fang xiu bu zui bu gui ‘ which simply means you don’t go home until you are drunk. The expression is the rule. I am advising my Toronto client on a trip to China at the end of the month. He will be arriving and departing from Shanghai and so he was asking me where he should stay while in Shanghai as this is his first visit there. He said a friend told him he should stay on the Bund, a piece of advice I have no problem with since the Bund offers a very interesting architectural panorama of old Shanghai, once known as the “Paris of the East.” I suggested he consider the Peace Hotel, the most famous hotel on the Bund but he said that was a little beyond his budget for this trip. I then suggested what I described for him as the “budget Peace Hotel,” the Astor House Hotel, or as it has been known since 1959, the Pujiang Fandian. 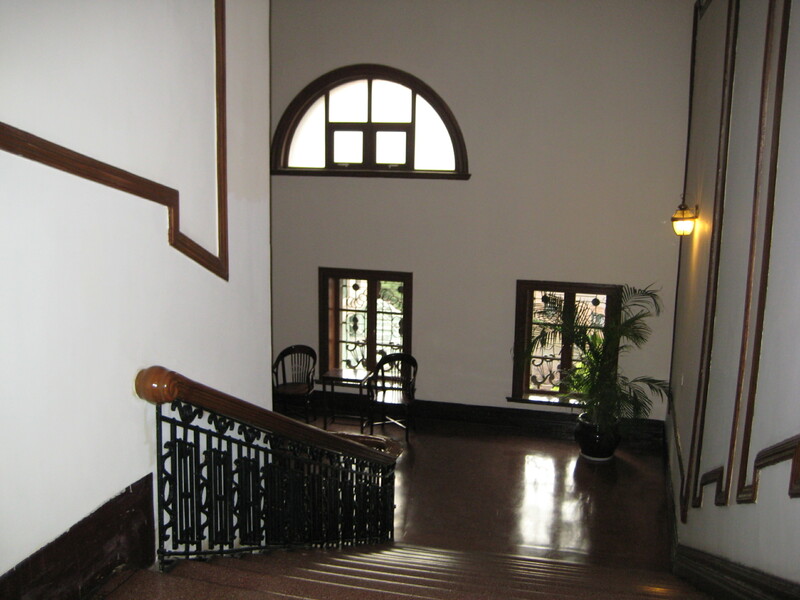 The Astor House Hotel was at one time the most famous hotel in Asia, state of the art in its time. In 1882 a light bulb went on in China for the first time – outside the Astor House. In 1913 sound film made its debut in China, at the Astor House. Charlie Chaplin stayed at the Astor House as did Bertrand Russell, Albert Einstein, and Ulysses Grant to name a few people of note. Zhou En Lai was in hiding at the hotel when he was fleeing the Nationalists in the 1930s. Only in 1929 when the Peace Hotel opened did the Astor House Hotel cease to be a rendezvous for the rich and fashionable. I stayed at the Astor House once for a few days and enjoyed it. Absent is the din and perpetual front lobby commotion that you find at the more popular Peace Hotel around the corner. The halls of Astor House are ghostly quite and the slight mildewy odor reinforces the sense that you are in something very old. As you descend the creaking mahogany staircase in the back of the hotel, it is very easy to engage your imagination and think that long ago Christy Mathewson (another guest of the hotel) descended the same staircase. Granted the bar, the business center and food leave much to be desired, the rooms are Spartan and the staff cannot speak English without a dictionary in hand, but for a couple of nights the inconvenience is well worth the experience. On the other hand, if you are not a history buff, you would probably do a lot better staying at the Ramada Plaza or one of the other antiseptic international hotel chains of which in Shanghai these days there are plenty. But for me if I am travelling to Shanghai and want to stay near the Bund there are only two hotels: the Peace Hotel or The Astor House Hotel.